Becca joined the Dayer lab in the summer of 2018 as a PhD student studying the social and ecological aspects of hellbender conservation. Her interest in research began as an undergraduate at Colorado College where she studied environmental science and completed two independent research projects. The first looked at niche partitioning between native and invasive bee species in rural Paraguay, while the second addressed the population dynamics of ants and aphids in desert yucca communities. Following her graduation from Colorado College in 2012, Becca spent three years as a seasonal wildlife biologist, working on projects ranging from invasive trout removal in Yosemite to radio tracking arboreal pit vipers in Hong Kong. In 2015 she returned to school for her master’s degree at the University of North Carolina, Chapel Hill working in the lab of Dr. Karin Pfennig. There she studied the causes of sexual signal diversification using the plains spadefoot toad, Spea bombifrons, as a model system. 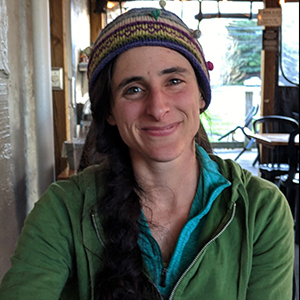 Becca is excited to be returning to conservation-based research for her PhD and is interested in integrating social science and ecology to effectively address conservation concerns. She will also be co-advised by Dr. Bill Hopkins during her tenure at Virginia Tech. 2017 Virginia Tech Designed by MageeWP Themes.